My first love. Burgers are a huge part of my life and my heart. I'm on a one-woman mission to find the best burger in the world, so when I was asked to design my own cake there was only one design I had in mind. A couple of months ago I was asked by Parteaz Cakes if I wanted to review one of their custom made celebration cakes. Even though I didn't have a party coming up and James' birthday had just passed, I couldn't pass up the opportunity for cake now, could I?! I mean, when do you ever need an excuse to sit and eat cake? Never. Whilst they have a huge selection of celebration cakes over on their website, they also offer custom designs where you can personalise your cake exactly to your liking. 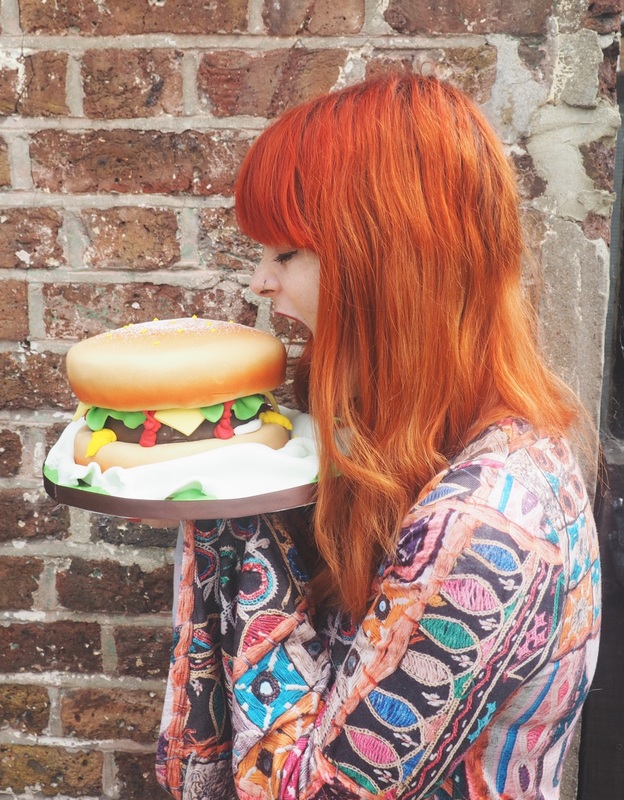 We all know I love a burger, so when it came to choosing a design I knew instantly I wanted a sweet burger cake for James and me to indulge in. As Parteaz didn't offer a burger style cake in their existing designs (but they do have this awesome pizza number), I had to request it as a custom design but this wasn't a problem at all. 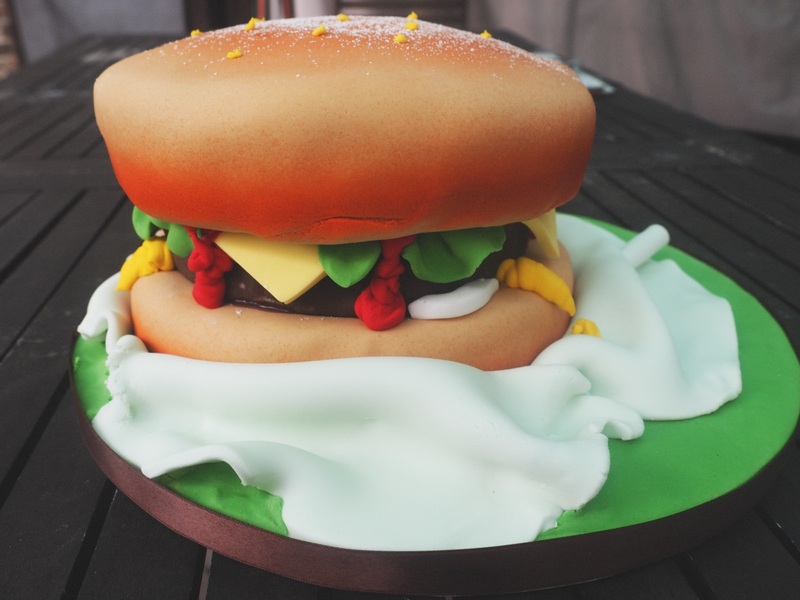 The team were more than happy to create my dream burger cake and gave me a call to talk me through the cake design, making sure I was happy with it. The customer service is absolutely brilliant, as not only do they talk you through your design and all of your cake needs, but they personally deliver it to your doorstep. It arrived securely in a box, which made it easy to transport if I was to take it to a party, but instead we all sat around one Sunday afternoon and had a slice each with coffee. The vanilla sponge was soft and absolutely delicious, whilst the icing was sweet and sugary. Of course, we didn't devour the cake in one sitting as there was a lot of cake to go around. Luckily the cake keeps for around 5 days after arrival, so we had plenty of time to finish it off over the coming days. 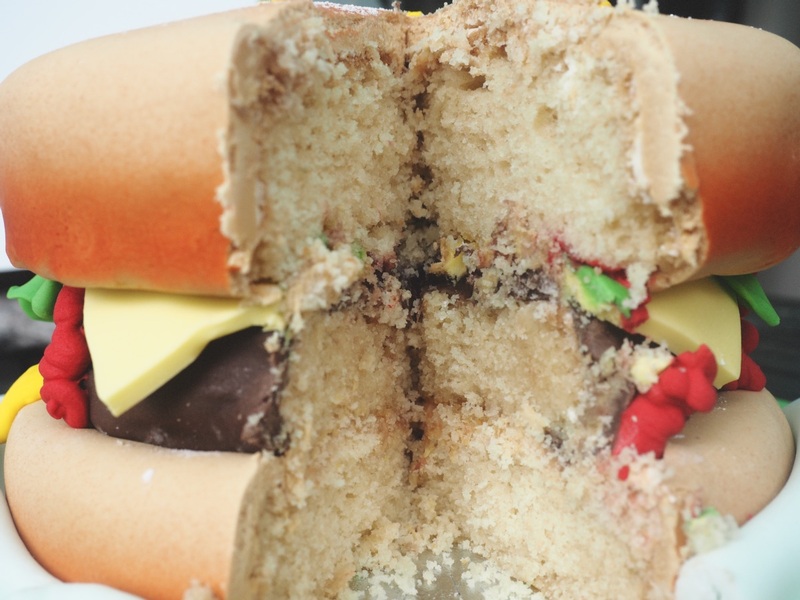 Who wouldn't want to live off of cake for a week, eh? Parteaz are based on the east coast of Essex and can deliver your custom made cake anywhere within London and the surrounding counties. Thank you to Parteaz for my delicious, dream burger cake! Oh my goodness, this is AMAZING! Currently drooling over all the delicious cakes on their website and wishing I had an occasion to celebrate... Ah forget it, who needs an occasion with cake that good looking? !